For a festive occasion, washing hands, eating bread, and lighting a memorial candle. 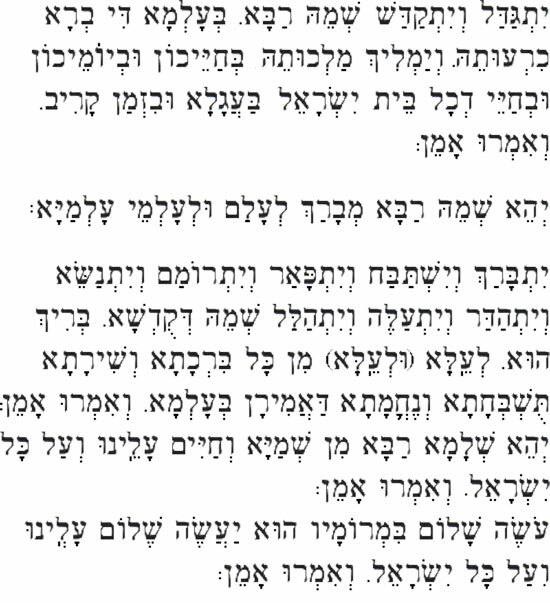 Baruch atah Adonai, Eloheinu Melech haolam, shehehchehyanu, v’kiy’manu, v’higianu laz’man hazeh. We praise You, Adonai our God, Sovereign of the universe, for giving us life, for sustaining us, and for enabling us to reach this season. It is customary to remove all jewelry from the hands before washing. Fill a cup of water and pour it over your right hand. Next, take the cup in your right hand and pour it over the left hand. This is repeated two or three times. Then say the following blessing before drying your hands. Some do not speak between the hand-washing blessing and the blessing over food. If your dominant hand is your left hand, reverse these instructions. Baruch atah Adonai, Eloheinu Melech haolam, asher kid’shanu b’mitzvotav v’tzivanu al n’tilat yadayim. Our praise to You, Eternal our God, Sovereign of the universe: You hallow us with Your mitzvot and command us to lift up our hands. Baruch atah Adonai, Eloheinu Melech haolam, hamotzi lechem min haaretz. Our praise to You, Eternal our God, Sovereign of the universe, who brings forth bread from the earth. O God, grant us the strength as we mourn the loss of ________. We will always have cherished memories of him/her. Bless our family with light and peace. May ______’s memory continue to serve as a blessing and an inspiration to all who knew and loved him/her. His/her memory is a blessing. Mourner’s Kaddish may be recited at this time.